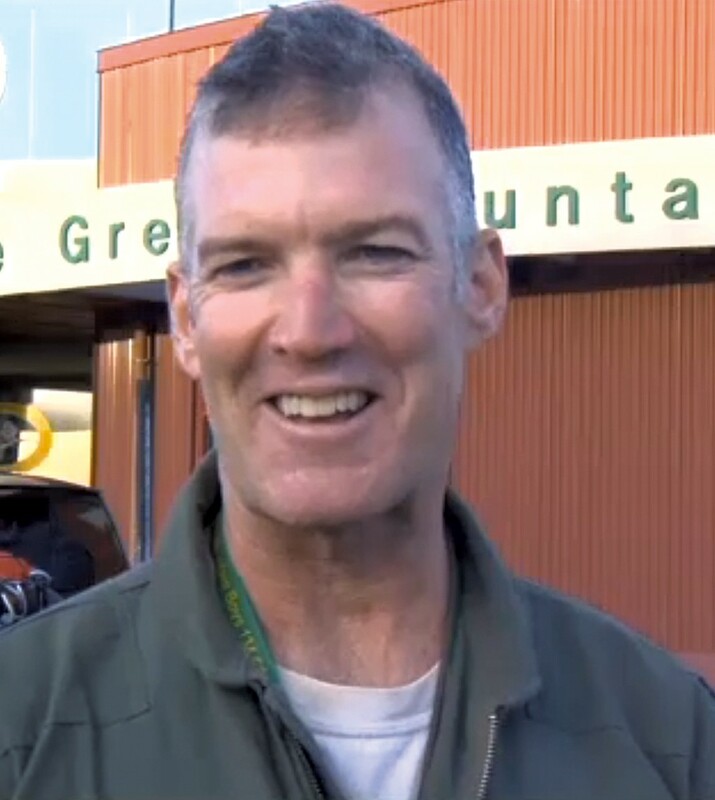 The Federal Aviation Administration has ordered a South Burlington-based F-16 pilot who crashed a small plane last year to retake his pilot's exam — or lose his civilian license to fly. John Rahill serves in the Vermont Air National Guard but was off duty when he wrecked a Piper PA-11 plane September 19 on Savage Island. The lieutenant colonel is among the hundreds of Air Guard members who deployed to Southwest Asia* in December. The Guard's 158th Fighter Wing has been involved in retaking the Iraqi city of Mosul from the Islamic State. Rahill will schedule a reexamination when he returns, according to the FAA, which notified the airman of the obligation in an October 11 letter. Seven Days obtained the correspondence, along with numerous other documents related to the FAA's investigation of the crash, in mid-January — two months after it requested the materials through the Freedom of Information Act. The agency wrote Rahill: "The FAA has reason to believe that your competence as a certificated airman is in question, and that reexamination of your qualification to be the holder of an airman certificate is necessary in the interest of safety." Fifty-year-old Rahill had one passenger, Mike Strand — a fellow Air Guard member — when he simulated an engine stall during emergency landing practice on the island off South Hero, Rahill told the FAA in an email on the night of the crash. The pilot underestimated his speed and the wind, which caused the plane to stall for real, and he hit the grassy runway unevenly, Rahill wrote. 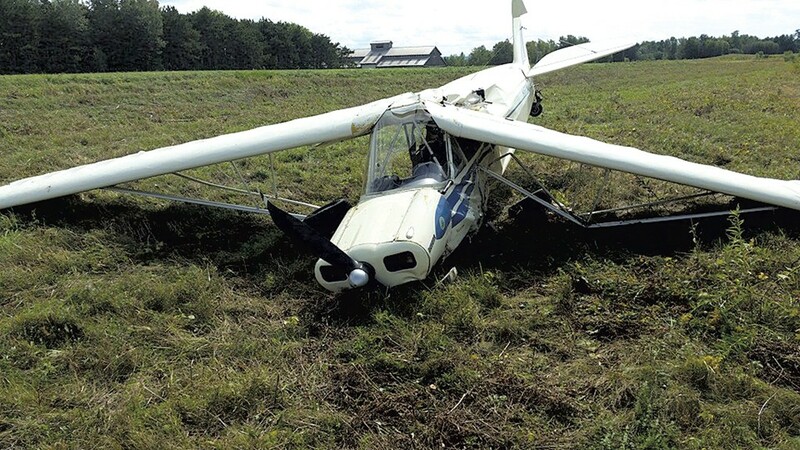 "We skidded sideways and wiped out the landing gear and came to a stop," he wrote. "The windshield also broke." Both men were OK, and Rahill hopped out after "shutting off the fuel, mags and electrics." He called his insurance agent and the plane's co-owner as the island's caretaker, who happened upon the crash, ferried Rahill and Strand back to the mainland. But the duo left the accident scene, and Rahill didn't immediately inform the National Transportation Safety Board — which is against federal regulations. He also failed to contact the Burlington air traffic control tower or local police. Hours later, a different pilot flew over the wreckage and reported the downed plane. That pilot's call prompted a multi-department rescue effort, led by the Grand Isle County Sheriff's Department. "I blame myself for them having to respond," Rahill wrote in an email later that night to Edward Angelo, an investigator with the FAA's Portland, Maine, office. Rahill wrote that the crash was "pure pilot error." Admitting he felt very embarrassed, he added, "I have flown a little over 8,000 hours so far without cracking up a plane. I will definitely learn from this experience." That wasn't enough for the FAA, according to dozens of emails and related documentation associated with its investigation. The files, turned over to Seven Days, show how federal agencies investigate crashes involving aircraft — even seemingly minor ones that don't involve serious injury or death. "If you do not accept the opportunity for reexamination ... we will begin proceedings to suspend your airman certificate, until such time as you demonstrate your competence to exercise its privileges," Daniel Kelman, an FAA aviation safety inspector, wrote to Rahill. The crash, Kelman continued, "is still under investigation to determine whether other enforcement action is appropriate." Correspondence between FAA employees reveals attempts to schedule a test consisting of "oral and practical examination in a single-engine airplane." "The airman is a full time Air National Guard pilot and is currently flying nights, so midday is his best availability," Kelman wrote in an October 25 email to a colleague in the FAA. On November 14, Rahill told Kelman about his imminent deployment with VTANG. "I explained to Mr. Rahill that if he was unable to complete his reexamination prior to deploying that he could temporarily surrender his pilot certificate until he was able to schedule the reexamination," Kelman documented in an official FAA record. "He stated that he was hesitant to do this, as it may cloud his judgment or distract him during deployment." One email, from the inspector assigned to test Rahill, said they'd scheduled an exam for November 29 — if Rahill didn't deploy first. Members of VTANG shipped out the first week of December as part of Operation Inherent Resolve. Rahill's previous tour — in the Pacific — had been his eighth, he told WCAX-TV when he returned in October 2015. "I will let you know if he cancels," the inspector, Gary Middleton, wrote to Kelman on November 10. "I talked to him about what happened. Stupid accident ... I asked him why he didn't just go around when he saw that it wasn't going to work. His response was that he thought it would. I will have a talk with him before we fly. He just seemed unaware about how stupid the whole thing was. Not the attempt to practice a turn back, but letting it get so out of hand. Baffling." In a probable cause finding released January 18, the NTSB determined that, coupled with an unforeseen tailwind, Rahill didn't maintain enough speed or keep the plane at enough of an angle when he attempted the ill-fated landing. Rahill is a certified flight instructor and holds an Airline Transport Pilot Certificate, which qualifies him to fly for pay. In a "narrative history of flight" that he provided the NTSB, Rahill wrote that he's "a trained mishap investigator and former chief of safety of the 158th Fighter Wing, VTANG." Gregory Winton, who has practiced aviation law for more than 25 years, said a reexam — known in industry parlance as a "4409" for the federal statute it falls under — is ordered "fairly routinely." "Not for every accident," said Winton, who runs an aviation law firm in Annapolis, Md. "I've seen half a dozen in the last 18 months. That's not atypical." George Moore, another attorney who handles aviation law, said a "combination of factors" — that Rahill had a passenger aboard, that he didn't immediately report the crash, that "something happened that shouldn't have happened" — likely led to the FAA's decision in this case. A reexam, he said, is "not the lightest penalty you can get, but it's on the light end of the spectrum." "It's not uncommon. It's the kind of thing they order when they say, 'We're going to slap your wrist a little bit,'" said Moore, who is currently a scientist in residence at the Middlebury Institute of International Studies at Monterey, in California. "It's kind of a hassle, but once you do it, you're back in good standing. When they order a reexam for something like this, they don't expect you to fail it. 'We're going to make you jump through the hoops and satisfy the criteria and then you're good to go.'" On January 19, a spokesman with the FAA's Eastern Region office told Seven Days that Rahill had not taken his reexamination and plans to schedule it once he returns from active duty. "When he's flying as a civilian, he needs an FAA pilot's license," FAA spokesman Jim Peters explained. "When he's in the military, on active duty, he doesn't." In a statement last Friday, the Guard said something similar. "Lt. Col. John Rahill is in good standing with the rules, regulations and safety standards of the Air Force's flight program and has no adverse military action pending in conjunction with the incident involving a civilian aircraft on Savage Island," said Capt. Tracy Morris, a spokeswoman for the 158th Fighter Wing. "The incident on Savage Island is a civilian matter, and his certification with the FAA does not impact any military rating." Rahill declined to comment through the Guard. Reached by phone Friday, his passenger, Strand, did the same. Members of VTANG recently participated in bombings over Mosul, Iraq, a city held by ISIS, the Burlington Free Press first reported on Monday. Morris told Seven Days that the deployed Guard members have been able to talk with their families, despite working up to 16 hours a day. They're expected to return stateside in late February or March, she said. "They're doing exactly what we expect of the Green Mountain Boys," Morris said. "They're doing a great job and keeping up great spirits while they're doing it." *Correction, February 2, 2017: A previous version of this story misidentified the Guard's deployment location. WTF: What Can Vermonters Do About Nuisance Drones?